Ever wanted to show how grateful you are to a current or former teacher? Or just how much you appreciate them? 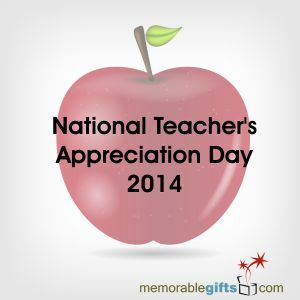 Did you know National Teacher Appreciation Day is on May 6? Few other professionals touch as many people’s lives as teachers do. Educators contribute to communities across the world everyday and in many ways. During Teacher Appreciation Day, thousands of communities will take the time to honor and respect their local educators. The commitment, enthusiasm and hard work of all educators- past, present, and future deserves to be recognized. National Teacher’s Appreciation Day is your opportunity to show your appreciation to teachers for all the effort they put in each day and the great education we receive thanks to them. Take the time to reach out to a teacher who has impacted you or your child to say “thank you.” One way to say thank you is simply to write a note. A heartfelt, handwritten note goes a long way. Make it even more meaningful by including something specific your teacher has said or done that has made a difference to you. You can even go as far as to give the special teacher in your life a gift that comes from the heart. Memorable Gifts has a wide variety of teacher’s gifts. 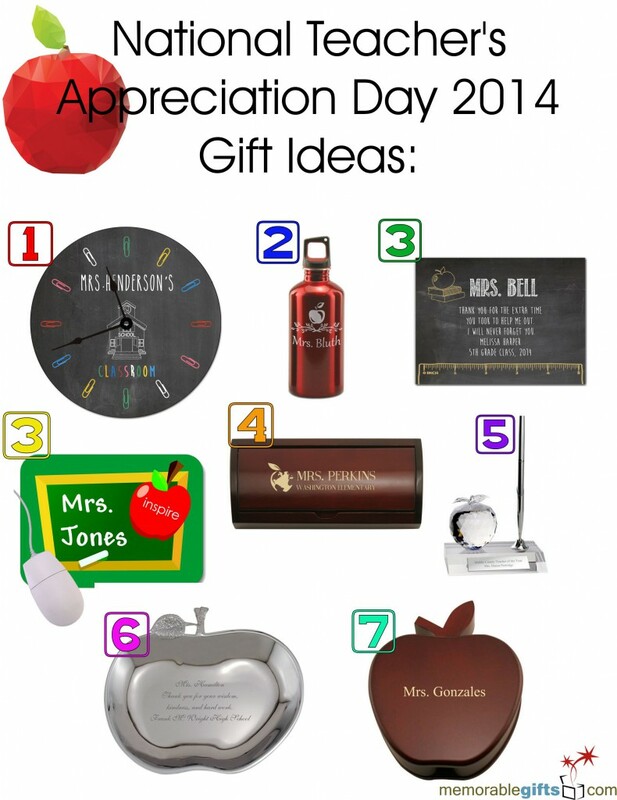 Below we’ve included some Teacher’s Appreciation Day gift ideas. However you decide to celebrate this special day, be sure to make an important teacher in your life feel appreciated.